It’s practically impossible not to be in the school spirit at this point of the year (even if you don’t have any school-aged kids) – every commercial is advertising a back-to-school sale, every store crammed with school supplies… you can practically hear the big yellow bus rumbling down the street. What better way to jump into school season than by bringing a bit of (old-)school into your home? 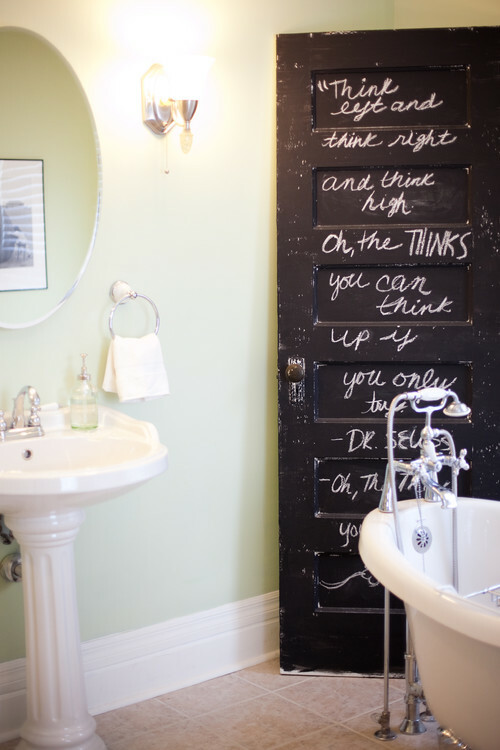 Chalkboard paint is an easy way to add some fun to every house. 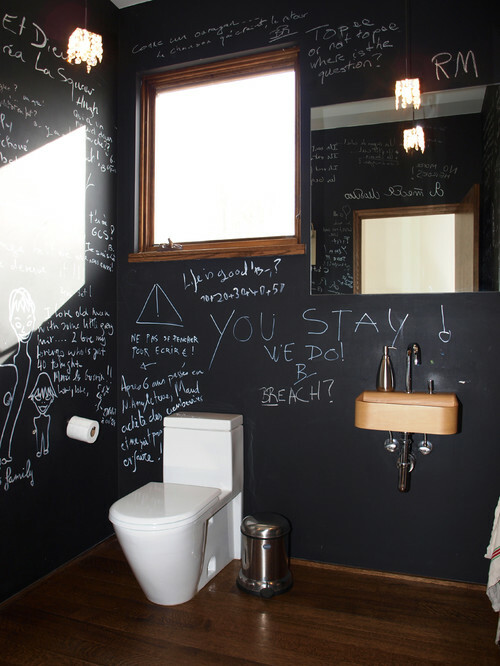 Here are five unexpected places on which to use chalkboard paint – we’re going beyond the typical playroom wall. 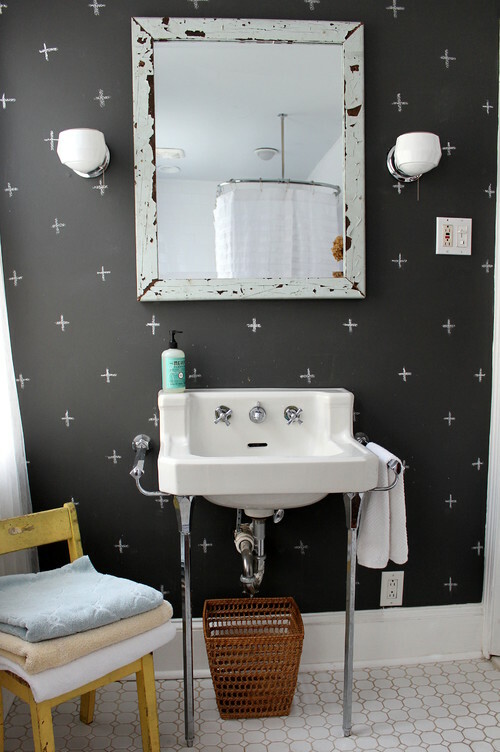 True, chalkboard walls in eating areas and on backsplashes are not so uncommon. 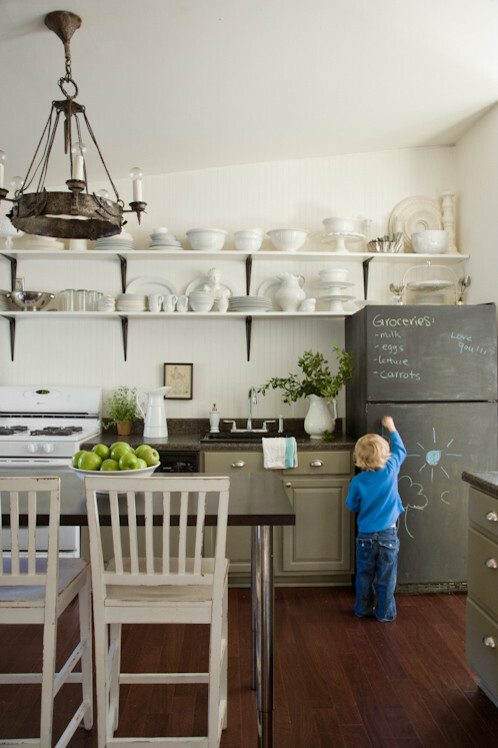 The kitchen is a perfect place for chalkboard paint – it can serve as the family message center and a running shopping list. 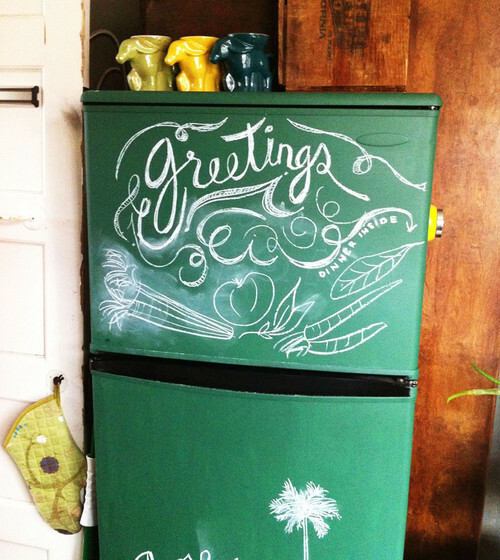 But you can take it past the typical with a chalkboard refrigerator or even chalkboard cabinetry! So much more fun than magnets. 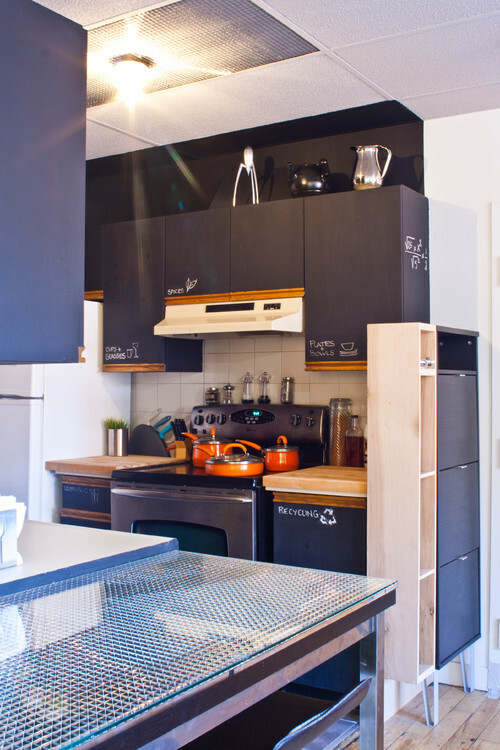 …the actual dining room, not the eat-in kitchen. 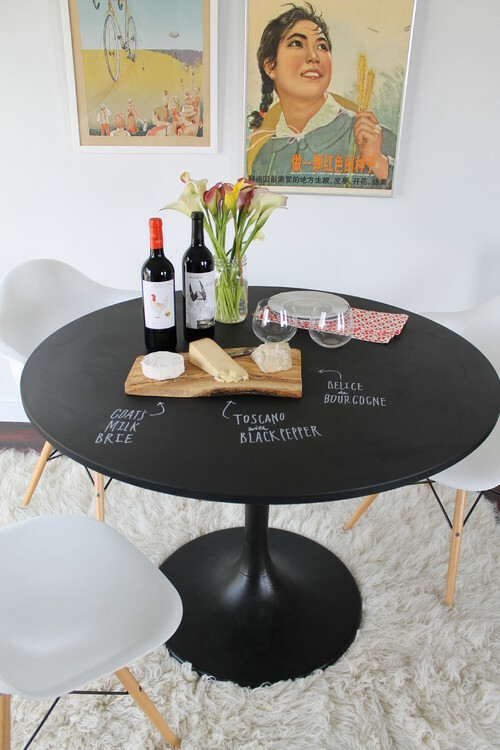 A chalkboard wall will give your dining area a relaxed bistro-like atmosphere and inject a bit of amusement into a normally formal room. Don’t you have the best ideas when you’re in the shower? Never lose your solution to world peace/new hit song/scientific theory again just because it occurred to you in the bathroom. Don’t like black? 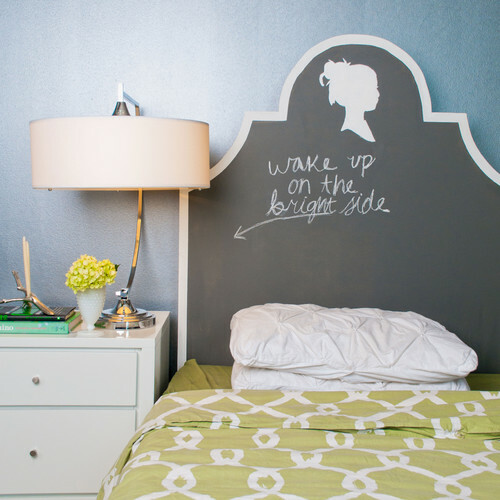 Forget the chalkboard paint and get a magnetic dry-erase vanity. This may be where you need it the most. Wouldn’t you love a huge reminder board that you can check when you’re literally on your way out the door? Or, alternatively, in the entryway for maximum impact and effectiveness. 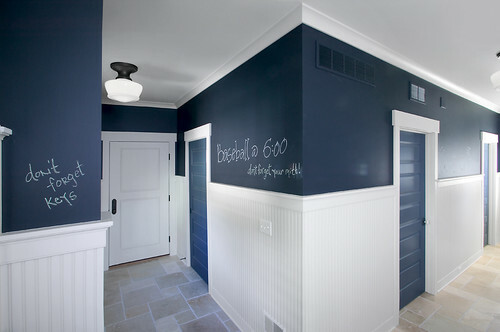 So go ahead… let your kids color on the wall.